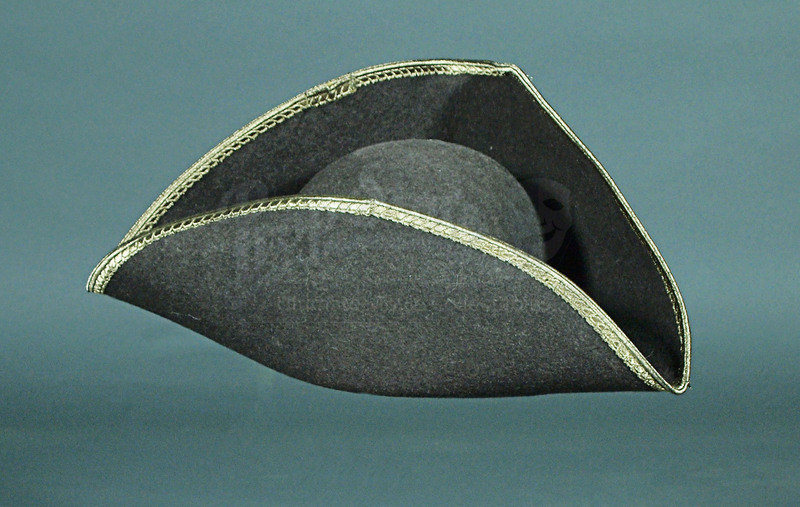 A hat worn in the production of the Disney spin-off Pirates of the Caribbean: On Stranger Tides. Having survived Davey Jones’ Locker and a host of curses, Captain Jack Sparrow (Johnny Depp) goes to sea once more, caught between nemesis Captain Barbossa (Geoffrey Rush) and the legendary Blackbeard (Ian McShane) in a search for the Fountain of Youth. 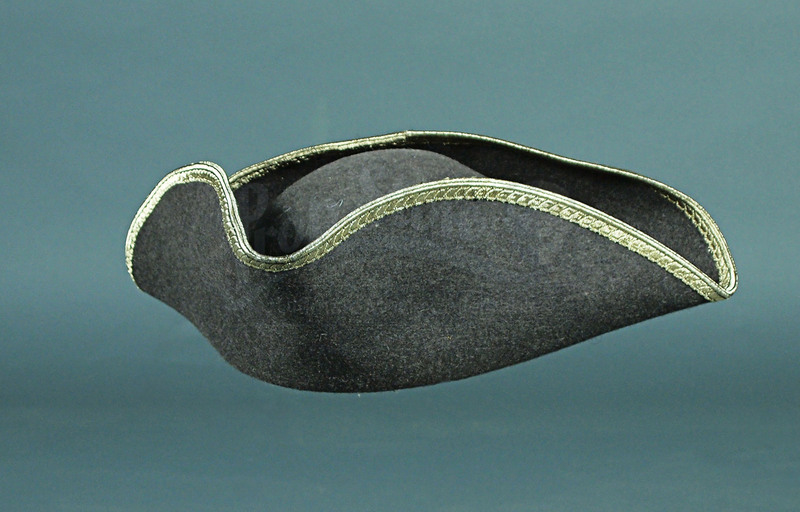 Made by The Costume Workshop, this tricorn hat and others like it were worn by the common Londoners seen walking the streets as Jack flees the palace of King George (Richard Griffiths) with the royal guard making chase close behind. 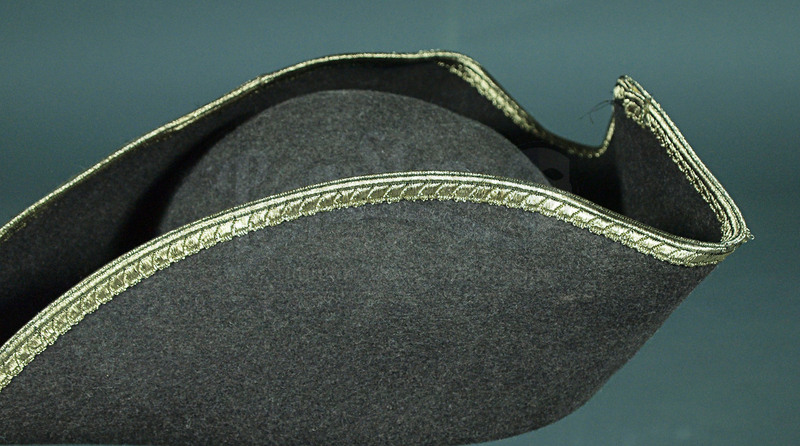 The hat is made in a brown wool material with faux-gold lace edging. 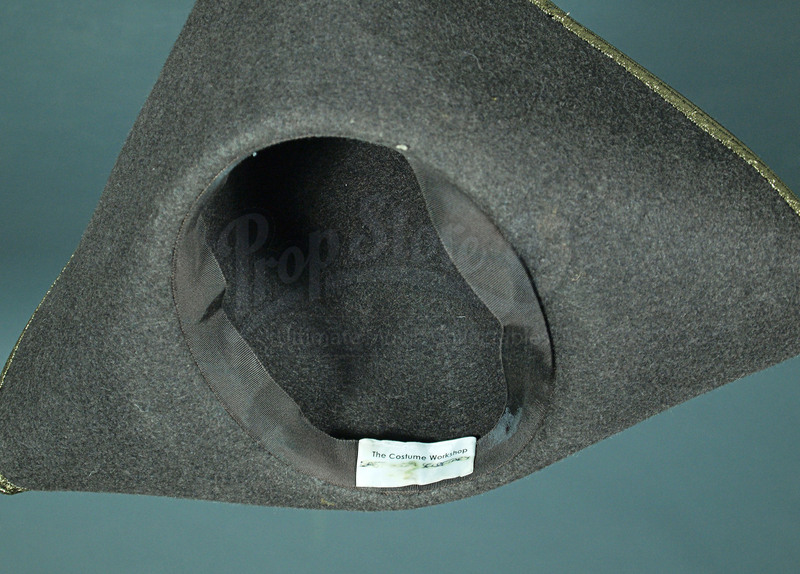 The inside of the hat features an identifying sticker marking it as a hat for “East India Secretary”, presumably indicating use in a previous film in the series. 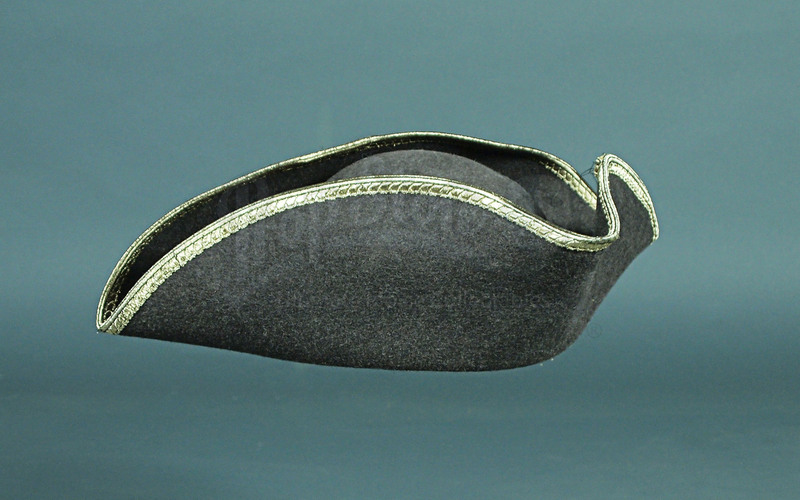 The tricorn features some minor fraying of the lace around the edges, but besides these minor flaws it remains in a very good production-used condition. No sizes marked.